The online version of Simpson’s “Inspiration at Your Door®” Ideabook (catalog) honored as the Best Manufacturing Interactive Application. 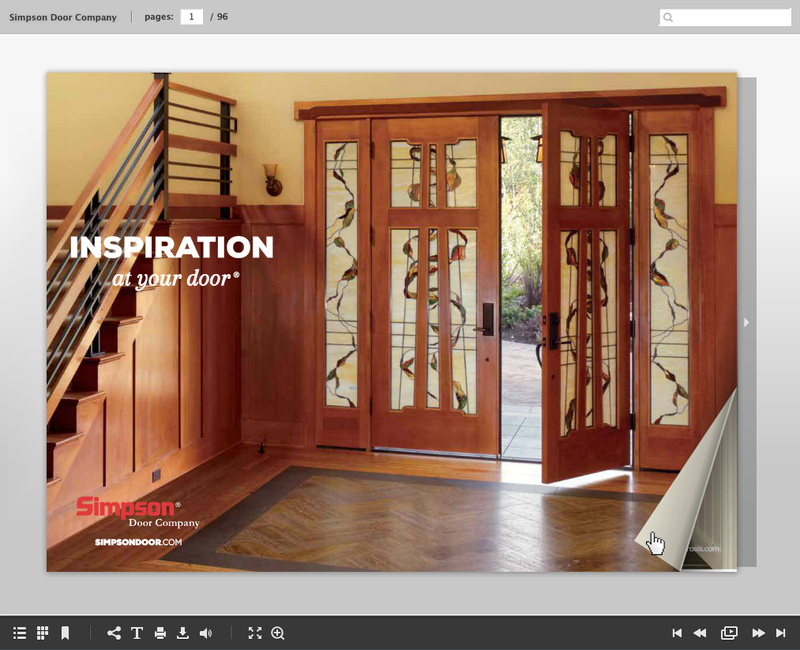 MCCLEARY, Wash., April 21st, 2016 - To help simplify the process of selecting new doors for the home, while at the same time providing design inspiration, Simpson Door Company published a bold, new Ideabook (catalog) in 2015. The Ideabook was produced in both print and interactive online formats. The online version of the Inspiration at Your Door Ideabook enables viewing of product videos and web content for multiple platforms, including mobile devices, for an immersive door selection experience. As a result of the design and technology used by Simpson and its marketing agency, Brandner Communications, the Ideabook has been honored as the Best Manufacturing Interactive application in the 2016 Internet Advertising Competition Awards. To learn more, see this brief video overview of the Inspiration at Your Door Ideabook.